Worked all day. Home and hungry. Open the refrigerator, hummm, scraps. Time to make some Magic! Don’t try to copyright this, I know it’s tempting. 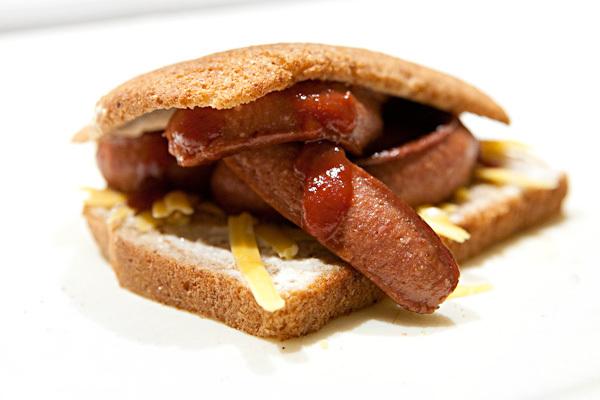 Title: Cheesy Hotdog Caesar Sandwich. BOOM! Just laid that down. I’m not embarrassed. Here we go: wheat bread (with a sad end cap, toasted), Hebrew National hotdogs (two, split, microwaved), Tillamoock Cheddar (my apologies to the fine people at Tillamook for including them in this), Ketchup and Bola Pizza’s renowned Caesar Salad dressing. Parental Guidance Suggested. Trained Chef at Work. Don’t Try This at Home. Awesome! Guilty pleasure. You know you liked it.